The must-read summary of Alan Lakein's book "How to Get Control of Your Time and Your Life: How to Achieve More Than You Ever Thought Possible”This complete summary of the ideas from Alan Lakein's book "How to Get Control of Your Time and Your Life” highlights that to waste your time is to waste your life, but conversely to master your time is to master your life. Providing you with the keys to manage your time more efficiently in both your personal and professional life, this summary will help you make the most of your life. 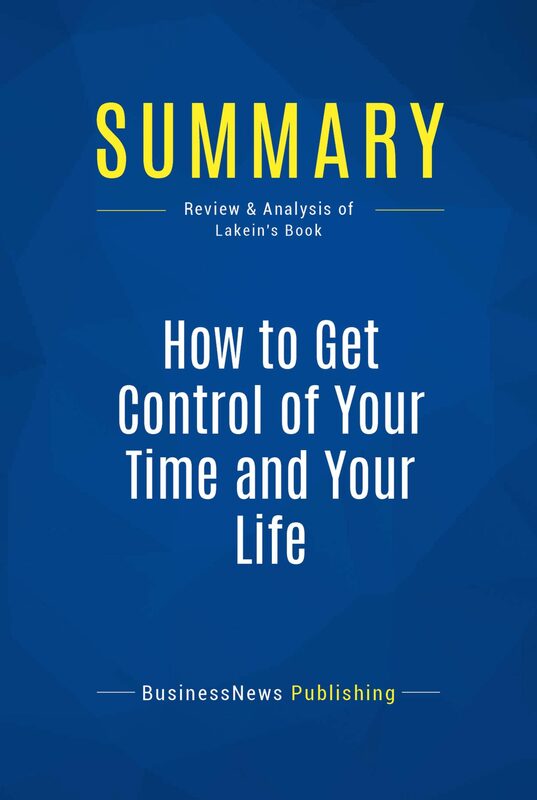 Added value of this summary: • Save time• Understand the key concepts • Improve your time management skillsTo learn more, read "Get Control Of Your Time And Your Life" and discover how to make the most of your life! .